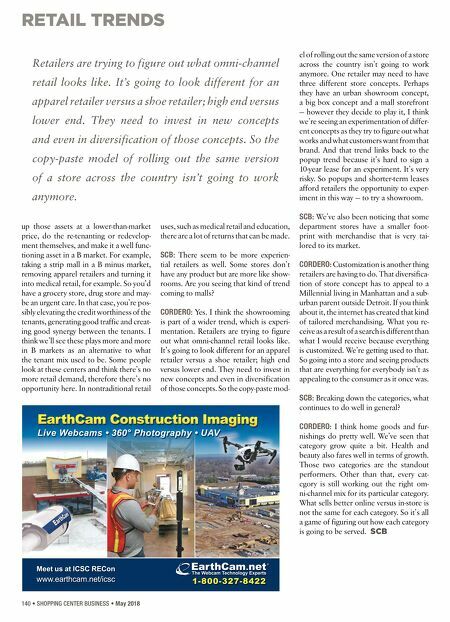 I n t e l l i g e n t R e t a i l S o l u t i o n s T h a t G e t R e s u l t s In an ever-changing retail environment, Avison Young's specialists understand the unique challenges of your retail asset type. We provide a full range of leasing, management, consulting and investment sales solutions to give every client a competitive edge. Our principal-led structure paves the path for a unique level of collaboration – an alternative perspective of boutique-firm market knowledge, combined with a full-service company platform. Avison Young is the world's fastest-growing commercial real estate services firm with 82 offices across North America and Europe providing value-added services to owners and occupiers of office, retail, industrial, multifamily and hospitality properties. 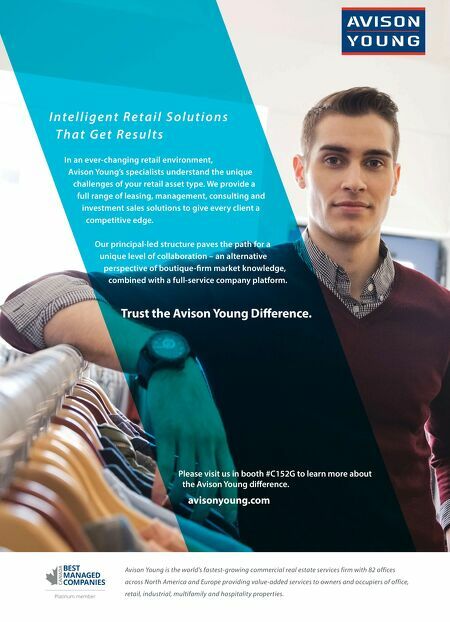 Please visit us in booth #C152G to learn more about the Avison Young difference. avisonyoung.com Trust the Avison Young Difference.